Corn syrup is a versatile sweetener. It helps candy makers produce soft caramels and marshmallows, and is included in most pecan pie recipes; it even makes frozen desserts smoother and creamier. It's also difficult to replace if you have a corn allergy or object to the use of genetically-modified corn. 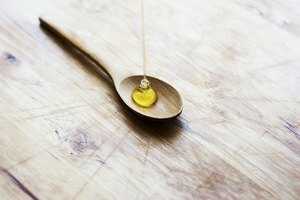 While there are acceptable liquid sweeteners substitutes, the simplest option is often a sugar syrup. 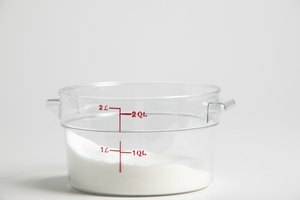 Measure your sugar and place in a heavy-bottomed saucepan. For every pound of sugar -- approximately 2 cups -- add 1/2 teaspoon cream of tartar, a dry acid found in the baking section of any supermarket. Add water to the pan of sugar. Depending on how thick you'd like your sweetener, add more or less. For a thin syrup use 3 parts water to 1 part sugar, for a thick syrup use 1 part water to 1 part sugar. Clip your candy thermometer to the side of the pot. Place the saucepan over a medium-high burner. Bring the water and sugar mixture to a boil -- the sugar crystals should dissolve into a liquid. Dip a pastry brush in water and brush down any crystals left clinging to the sides of the saucepan. You can use the same quantity of powdered citric acid, sold at many pharmacies and bulk food stores, in place of the cream of tartar. Corn syrup is what's called an "invert" sugar, meaning it remains liquid rather than forming crystals. If it's mixed with other sugars, it limits their ability to crystallize as well. That's why corn syrup is used so widely by home candy makers to control the crystallization of their sweets. Ordinary sugars can be converted to invert sugars by treating them with heat and acidity, which is what you've done here with the cream of tartar. The finished sugar syrup will be thicker than corn syrup and harder to pour. Heat it gently in a pan of hot water, or in your microwave, to soften it and make it more pourable. Over time this can cause the sugar to crystallize, so it's best to store the syrup in several small jars rather than one big one, and to only heat as much as you need. One of corn syrup's virtues is that it's not as sweet as regular sugar. You can add enough to achieve the right texture, without your treats being overpoweringly sweet. When you substitute your homemade syrup for regular corn syrup, the end result will be sweeter than the original recipe. Sometimes you can compensate by reducing the recipe's other sweeteners or adding a tart flavoring, but not always. 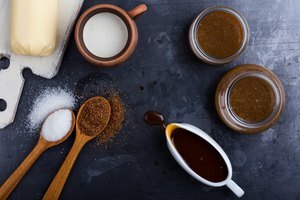 Other liquid sweeteners can be used in its place, but they vary widely in sweetness and consistency and often have strong flavors of their own. Thick sugar syrup is neutral in both color and flavor, so it's often the best available substitute. 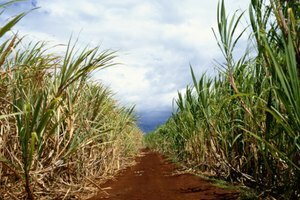 What's the Difference Between Cane Syrup and Molasses?